What’s in your farrier’s tool kit? 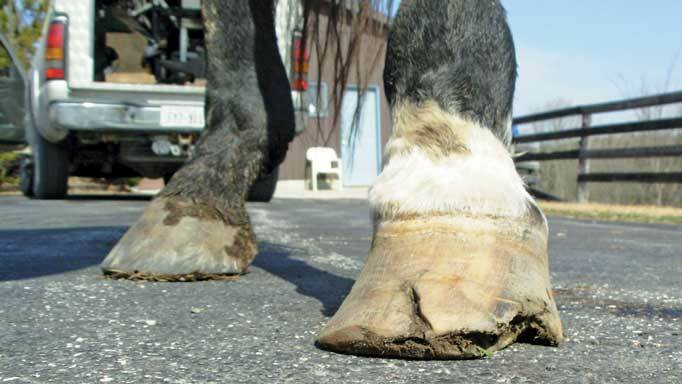 Every horse owner must understand the basic hoof care principles, from maintaining a healthy hoof with daily attention to evaluating a trim or shoeing job. Below are some of the tools needed from the basics to the professional tools your farrier or trimmer will use. Hooves should be picked out at least once daily to check for foreign objects, bruising or signs of disease. Use the pick in a downward and outward motion to remove debris. 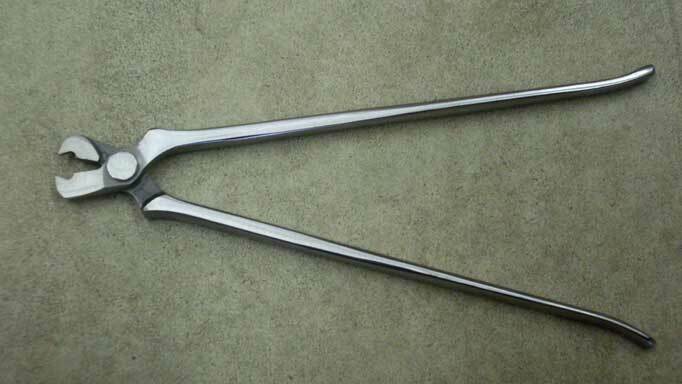 The hoof pick is also used to pack medicated cotton into the sides and cleft of frog in cases of thrush. A weekly scrubbing with a stiff bristle or wire brush and soap and water will remove mud and dead tissue that can harbor pathogens like those for thrush. If you ride in an oiled arena, this scrubbing should be more frequent to allow air to get at the frog and sole. A sanding block or rasp can smooth out chips and flakes between farrier/trimmer visits to prevent them from catching and expanding. It doesn’t replace regular trims and should not be used excessively. Should your horse lose a shoe, a hoof boot or several wraps of duct tape can prevent further hoof damage while you are waiting for the farrier. Either can be brought on a trail ride so that you can ride the horse home even if a shoe is lost partway through. Everyone who has a shod horse should know how to pull a loose shoe. The most useful tool for this is a crease nail puller, which can open the clinches and also grasp the nail heads to pull them out one by one. This is much safer and easier than levering the shoe off. Ask your farrier to demonstrate how to use them. For the owner with multiple horses to care for, a hoof stand can be a back saver. Most support the hoof when it is brought forward for trimming. Some of the newer stands are available with cradles (pictured) that can support the hoof when it is in the tipped position and are an alternative to holding the hoof in your hand or between your knees. 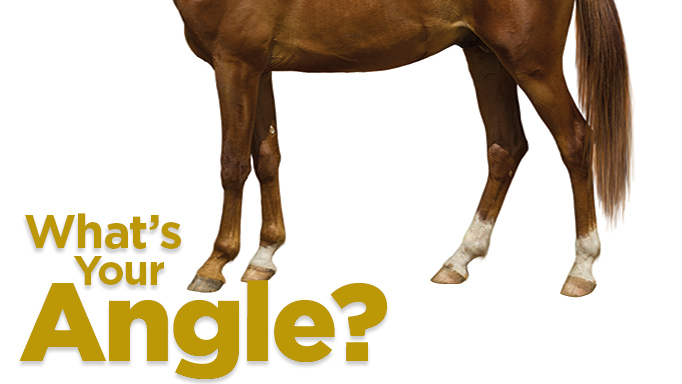 It must be adjusted to the right height for each horse you are working on. Be careful to train your horses to the stand gradually so they don’t kick out and knock it over. 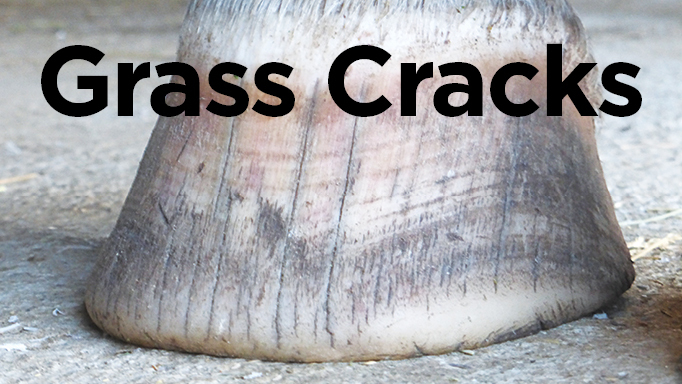 Generally, clear gels or liquids that soak into the hoof to form a barrier against dirt and moisture. These can be used if the horse will be working frequently in wet conditions. These are designed to toughen the horse’s hoof to make it more resistant to chipping or cracking. Some rely on a surface layer of resin or varnish over the hoof wall. Others contain chemicals that penetrate past the hoof wall and harden the keratin that makes up the wall. 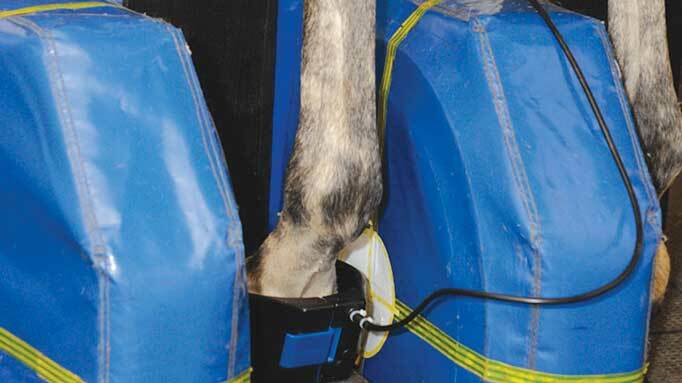 These can benefit a horse with weak or crumbly hooves or one that lives in a very wet or dry environment. Like a sealer, they can be added if the periople (natural outer coating of the wall) has been worn away or rasped away when shaping the hoof during trimming. These include medicinal ingredients that are applied topically to prevent or treat diseases such as thrush. These usually contain oils and other ingredients that can soften excessively dry, cracked heel bulbs. Wet the hoof before applying the dressing so that the moisture will be sealed in and be gradually absorbed. Most normal hooves should be dry and hard, however.